Are you superstitious when it comes to your favorite sports team? Do you often wonder why a team loses for no apparent reason? Your superstitious notions may not seem so silly when you find out that some teams have actually been cursed. This may sound spooky, but many people believe that losses are caused by certain curses that have been placed over the years. There are certain icons and trinkets that are believed to be linked to a team’s misfortune. If you do not believe this, take a look at these “curses” that have actually been proven. If you are an Arizona Cardinals fan, you would not have wanted to be one during the 1924-1925 season. The Arizona Cardinals were known as the Chicago Cardinals in the 1920s. The Chicago Cardinals made their way to the Superbowl and they went up against the Pottsville Maroons from Pennsylvania. The Maroons won the game. The NFL determined that the Maroons played an authorized game in their home state, and then NFL commissioner Joseph Carr suspended the Maroons and took their NFL championship away. The people of Pottsville were furious about their team’s title being taken away. 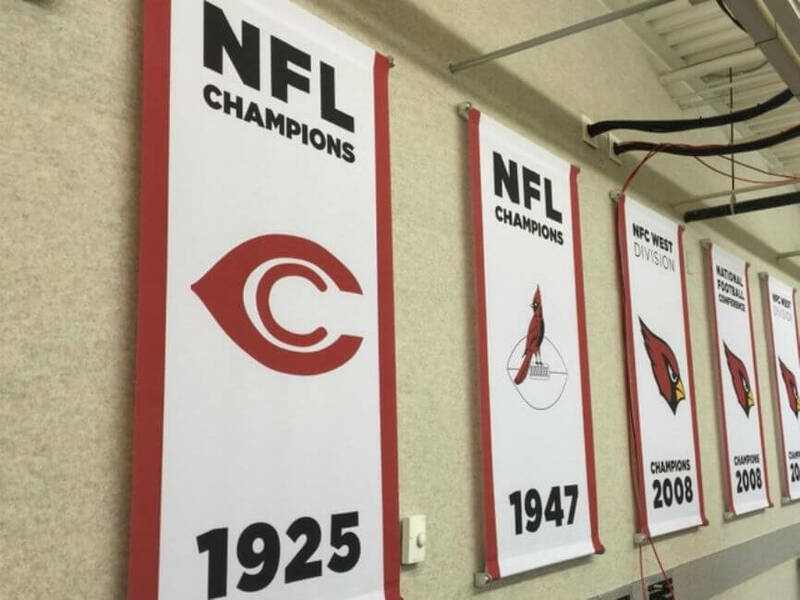 There was a supposed “curse” that followed the Cardinals after this as they moved from the Chicago Cardinals to the St. Louis Cardinals to the Arizona Cardinals. They had the longest championship drought after the Pottsville incident and the most losses of any NFL team. 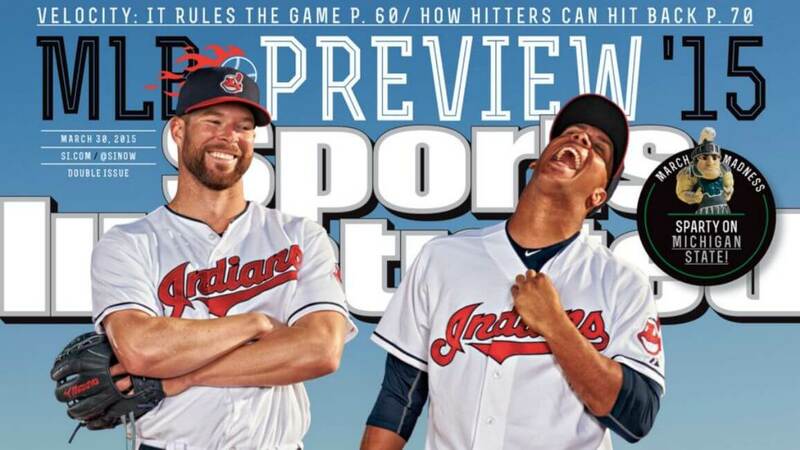 You may want to think twice about seeing your favorite team on the cover of Sports Illustrated. You may not want to even look at the magazine if your team is on the cover. Many people may think that making the cover of Sports Illustrated may be good publicity for a team, but not in these cases. The 1957 Sooners football squad being dubbed “Unbeatable”, and then losing their very next game to Notre Dame. Lee Trevino made an appearance on the cover for the U.S. open and then failed to make the cut. The Texas Longhorns appeared on the cover right before losing the Cotton Bowl in 1977. The Cleveland Indians were called “The Best Team in Baseball” on a cover before the 1987 baseball season. They went on to lose 101 games. Never bring an animal to a game! This is one of the weirdest stories about the sport of baseball. In 1945, William Sianis was a Cubs fan. He was probably just an ordinary fan and not one of these super fans that you see today. 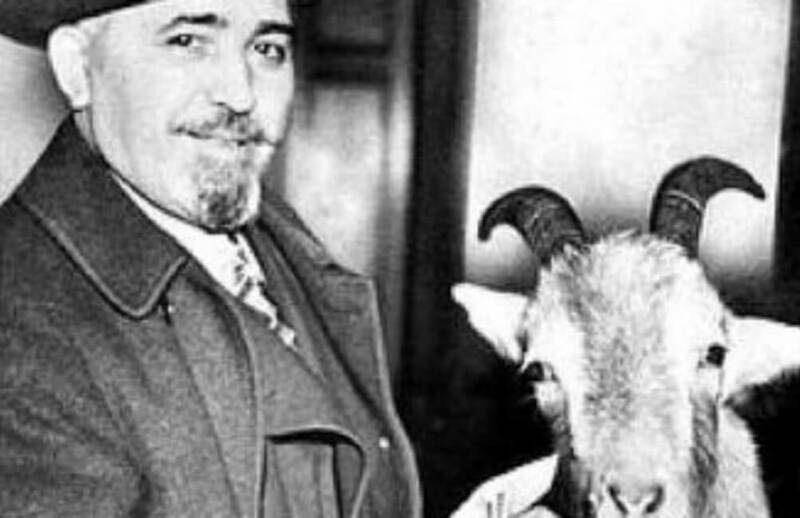 Before Ronnie “Woo Woo” Wickers started his bellowing cheers for the Cub fans, William Sianis brought his goat to a game, something that he would normally never do. The goat’s smell was so bad, it started to spread throughout the crowd. Sianis was told to leave, along with his goat. Sianis was so angry that as he left, he shouted out “Them Cubs … they ain’t gonna win no more!” The Chicago Cubs lost this game and the rest of the series to the Detroit Tigers that year. The Cubs would not win a pennant to make it to the World Series again until 2016. If you do not have anything nice to say to someone, then don’t say anything. You have heard this old adage somewhere along in your life at some time. Kevin Durant should have taken heed to this warning because his words ended up doing more harm than good when he made a remark about rapper Lil B.
Oklahoma’s Kevin Durant made a statement about his opinion of rapper Lil B when he was asked during an interview. 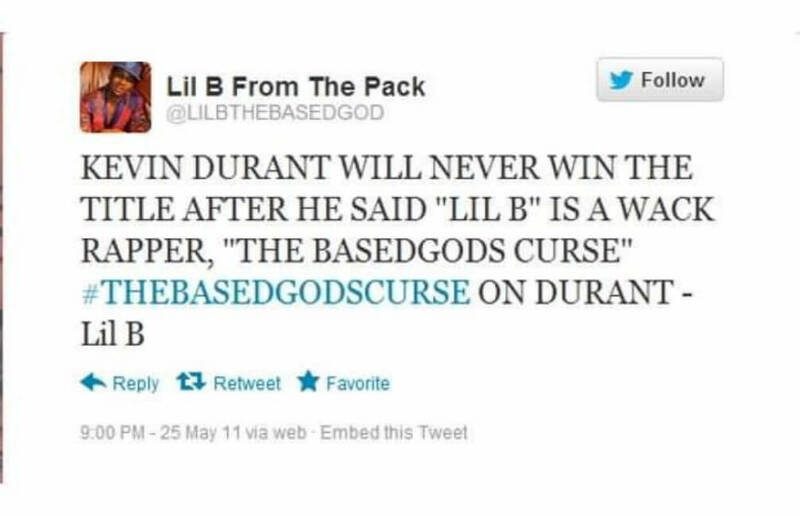 Durant said “[Lil B] is a whack rapper.” This was the start of “#THEBASEDGODSCURSE” hashtag which meant that Durant would never win a championship. The Oklahoma City Thunder as of date has never made it to the NBA Playoffs. There has been speculation from many people in Philadelphia as to why their sports teams never meet fan expectations. Could there be something behind this? A curse may be lurking over the City of Philadelphia. There is a belief that William “Billy” Penn could have been behind this curse. William Penn was the founder of the City of Philadelphia. The citizens of Philadelphia made a monument to Penn in 1894 atop City Hall at the highest point in the city. The statue remained there until 1987. This is when fans noticed their teams began losing games. 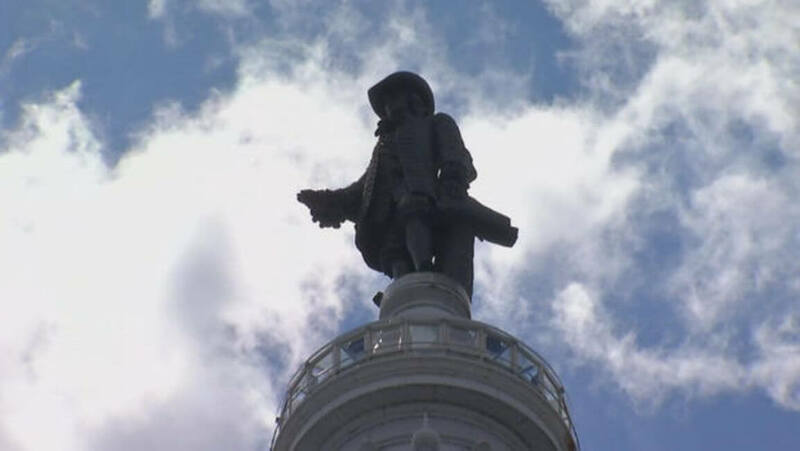 To stop this “curse” the William Penn statue was put on a skyscraper. After this such teams as the Flyers, Eagles, and 76’ers started making it back to championship prominence and the Philadelphia Phillies won the World Series when the statue was first placed on the skyscraper. And most notably, the Eagles took home the Super Bowl 52 victory against the “goat” Tom Brady and the Patriots. Cheerleaders are supposed to hype the crowd when the game is at a settling point. This may work with other teams, but at one time a group of cheerleaders affectionately known as the “Honey Bears” ended up being a curse to the Chicago Bears football team. The Honey Bears were established in 1978. A lady named Virginia McCaskey came along and she became the owner of the Bears in 1983. McCaskey tried to fire the Honey Bears, but the Honey Bears were under contract. McCaskey also went out of her way to degrade the Honey Bears. The Honey Bears were disbanded in 1986. The Bears won the Super Bowl in 1985 and have not won a Super Bowl since then. Many people feel that it is because of the Honey Bear curse. The popularity of the John Madden video games continually grew since the 90s and have become somewhat of a legend among gamers. The Madden games have appeared on many game consoles and they always sell like hotcakes. With this type of success, how could a cover of one of these games become a curse? Eddie George was the first to get hit by the so-called curse. 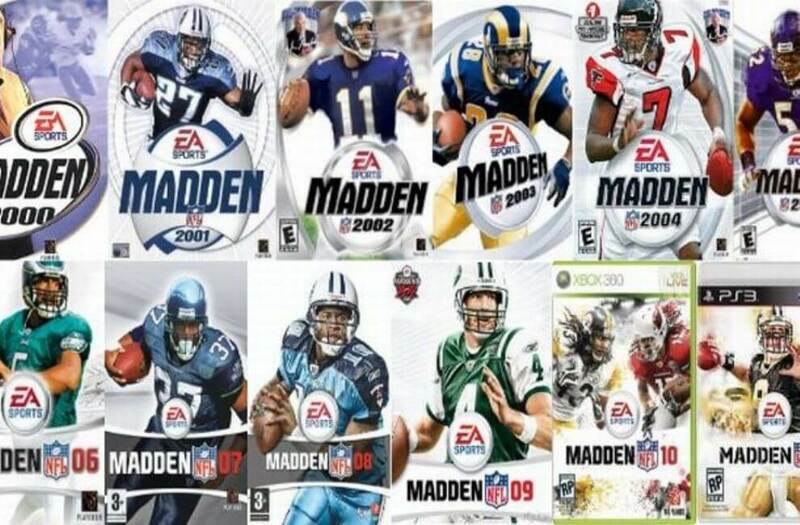 George appeared on the cover of Madden 2001. He would go on to have a very bad year in 2001. Barry Sanders appeared on the 2000 cover of a Madden game and he retired during training camp. Garrison Hearst was the first person to make the cover of the video game and he ended up with a broken leg and missed two seasons. Richard Sherman appeared on a cover and he and the Seahawks won the Super Bowl the prior year but ended up losing in 2016. The Chicago Cubs makes this list again. It seems like the poor Cubs never get a break. What is it about Chicago and their sports teams and these curses? Could a fan be the cause of a curse as well? During game four of the 2003 NLCS, the Cubs were hosting the Marlins. The Cubs were up 3 to 0 in the eighth inning. They were 4 outs away from making it to the World Series, that was until a foul ball headed towards Moises Alou. 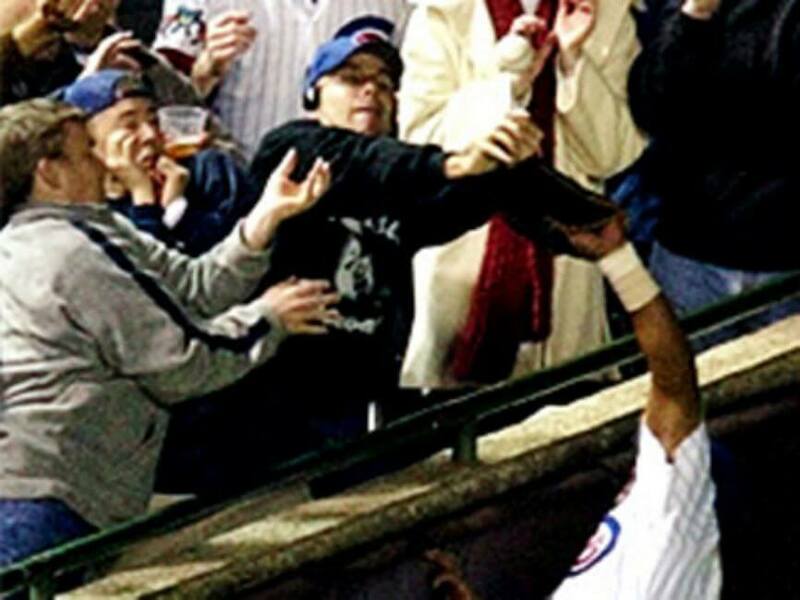 Alou tried to catch the ball, but a fan named Steve Bartman reached for the ball also. This caused the ball to pop out of Alou’s mitt. Alou became enraged at Bartman. Bartman put his head down in shame, and the Cubs and an angered Alou began to lash out at lifelong Cubs fan Bartman. Met with tremendous booing, Bartman lowered his head in shame and The Cubs allowed eight runs in that inning and lost. The Marlins went to the World Series and won in 2003. What did Led Zeppelin and The New York Knicks have in common? More than you would probably think. You have two entirely different things here, a sports team and a rock group. Although these are both separate groups with entirely separate jobs, there are some similarities such as a hectic road schedule, performing in front of large crowds, and of course, the ladies that love these guys and travel with them from place to place. Led Zeppelin also performed at Madison Square Garden, where the Knicks played their games. Page and Plant of Led Zeppelin sold Madison Square Garden out at three shows in 1973. 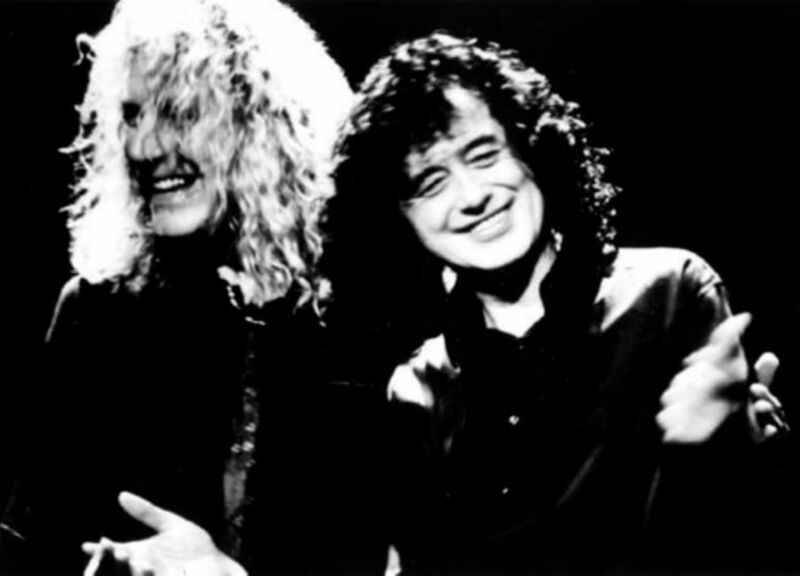 The Knicks had not won a title since 1973 and it is attributed to Led Zeppelin. George Herman “Babe” Ruth is perhaps the biggest name in the sport of baseball of all-time. He had many nicknames such as the Caliph of Clout, the Babe, the Sultan of Swat, and other titles. One thing that a sports franchise should never do is trade their biggest star. The World Series wins that occurred in 1915, 1916, and 1918 were mostly attributed to Babe Ruth. The Boston Red Sox gifted Ruth to the New York Yankees for the 1919-1920 season. The Yankees became a household name as Ruth took them to four championships. 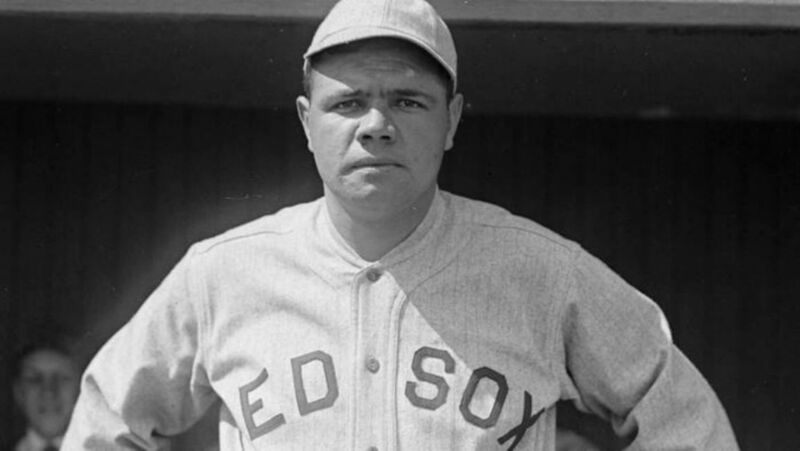 The Red Sox did not win another World Series for 84 years after gifting Babe Ruth. The Talladega Superspeedway is believed to be haunted by some individuals. Have you ever heard of something being built on Indian ground being a curse? 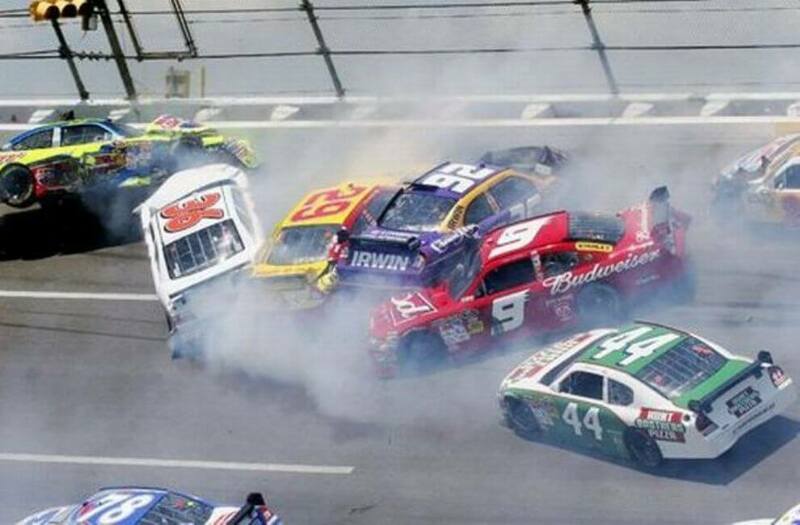 This is one of the beliefs of the Talladega Superspeedway Jinx. There is another belief about an Indian chief dying during a horse race in that area. How ironic that they turn it into a race track! Other mysterious happenings include the Larry Smith accident in 1973 in which Smith got into a solo accident which resulted in him sustaining fatal head injuries. In that very same race, Bobby Isaac heard a voice that told him to quit. Joe Namath is the famous New York Jets quarterback from years ago who gained notoriety and fame because of his amazing athletic ability on the field. With credentials like this, who would think that Joe Namath would possess the power to bring a curse to a team? 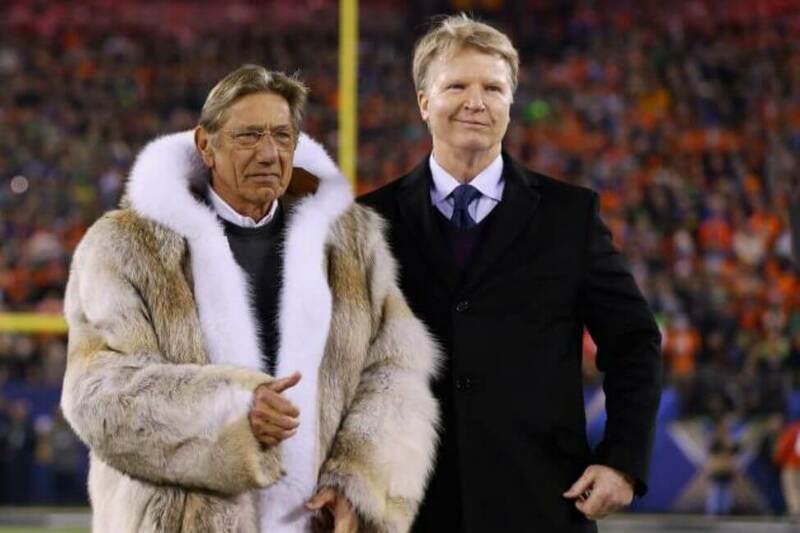 At Super Bowl XLVIII which took place at the MetLife Stadium on Feb. 2, 2014, Joe Namath stepped onto the field in rare, and I mean very raren form. From all appearances he seemed inebriated as he walked out to the field wearing a fur coat. It was 40 degrees on the field and people did not see why he needed to wear a fur coat onto the field. The coin toss that he gave seemed very awkward as well. It is believed that bringing a dead animal in any form is a curse amongst some sports enthusiasts. The Kentucky Fried Chicken phenomenon began years ago, primarily due to the fact of the “secret herbs and spices” that was advertised during most of the commercials especially thirty-something years ago and on back. The lovable Colonel Sanders was a fixture on American television before his passing as well and he became a household name. 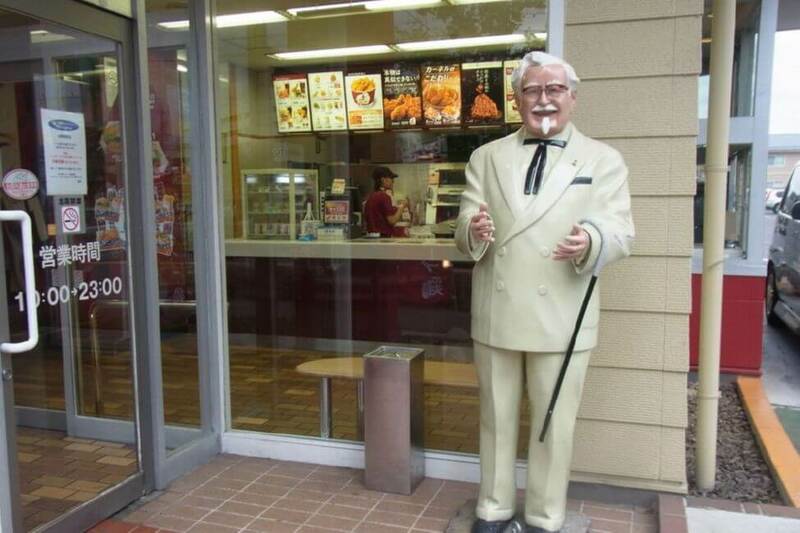 The phenomenon of KFC has even spread to an overseas level. The Hanshin Tigers had a long losing streak and in 1985 they somehow made it to the Japan Series of baseball. The players of the Tigers were cheered by a crowd on the bridges of Osaka. The fans grabbed a statue of the Colonel and threw it into a river. After this the Hanshin Tigers came in last every season for 18 years. 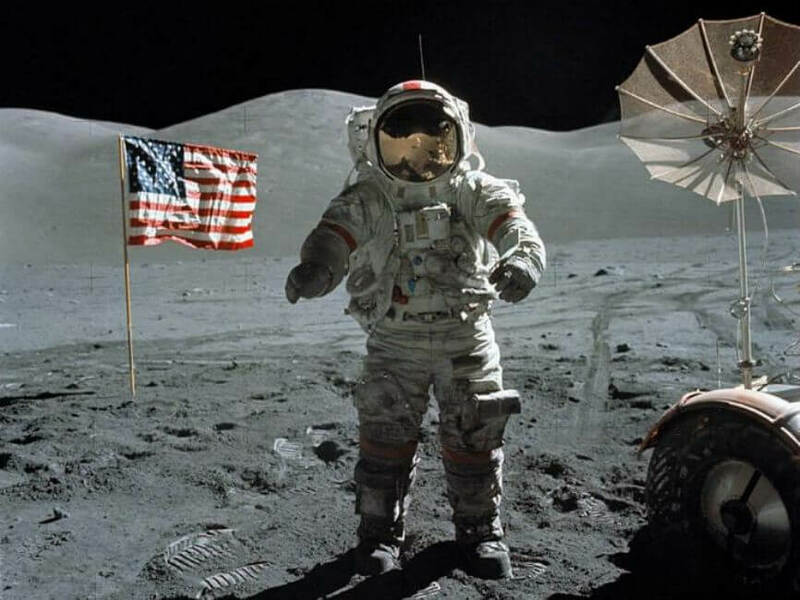 This is another one of those silly things that just happen to wind up being urban myths, so to speak. It has been a long time since the City of San Diego won a sports championship. You may be wondering how long has it been since they have brought home a sports championship. The last time San Diego took home a championship for any type of pro sports team from the City of San Diego was in 1963. What happened? No one really knows, but after the San Diego Chargers on the AFL championship, Sea World of San Diego opened a year later. 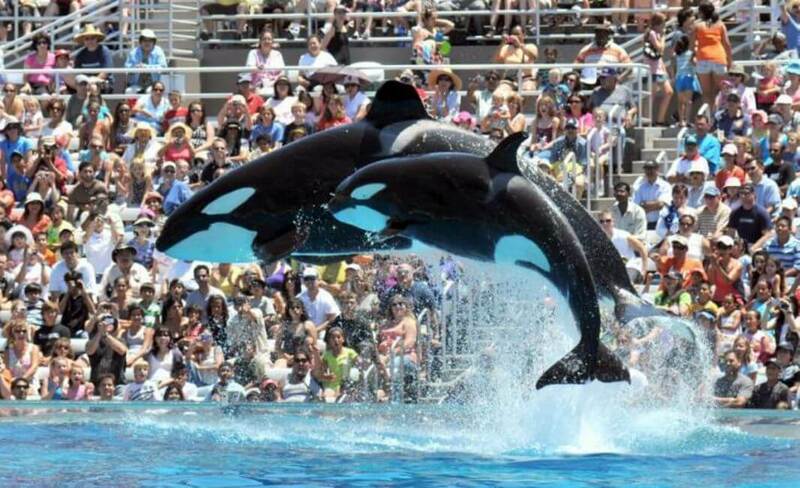 It is believed that since the opening of Sea World San Diego, Shamu has cursed every team in San Diego. Some sports teams have memorable names and some have downright silly names. There is a purpose behind the names for a team in a lot of cases. Most of the college teams have silly names such as the Demon Deacons, and the Buckeyes, and the Aggies and such. Most sports teams have pretty good sounding professional names. Speaking of professional names, there is one sports teams that probably has the dumbest name. 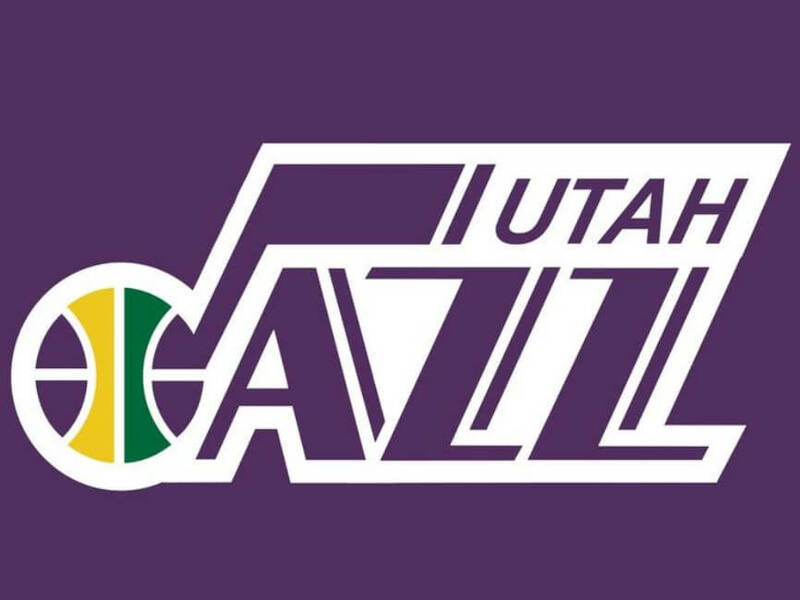 This team would be the Utah Jazz. The original name of the team was the New Orleans Jazz, which makes since because one of the things New Orleans is known for is its jazz music. New Orleans is also associated with voodoo also, meaning that the team is cursed. The New York Giants (the baseball team, not the football team) was a baseball team and technically it still is. The New York Giant baseball team is now called the San Francisco Giants. The team won a lot of games and also several World Series games in New York when they were playing at the Polo Grounds. 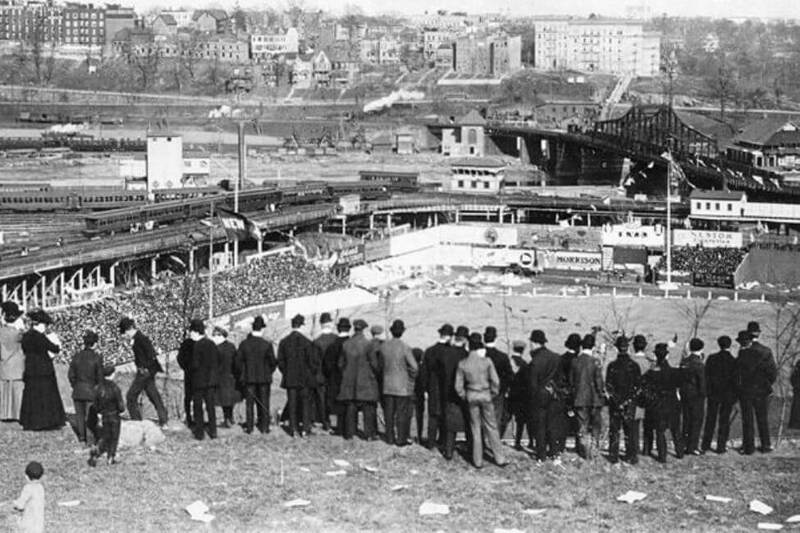 The Polo Grounds overlooks a place called Coogan’s Bluff. The Polo Grounds had a plaque in it honoring a player named Eddie Grant. Eddie Grant was a baseball player who served his country in World War I. Sadly, Eddie Grant was killed in battle. In 1957, the New York Giants moved to San Francisco. The fans started grabbing items from the Polo Grounds and the plaque of Eddie Grant was lost. The San Francisco Giants did not win a World Series game after that, until 2006 when the Eddie Grant plaque was replaced at AT&T Park. The Giants went on to win three World Series. Betting against your own team is never a good thing. It can cost an athlete their job, and more importantly their reputation. This becomes a letdown to many when someone bets against their own team. Kids who aspire to be like their sports hero are perhaps the ones who take something like this to heart the worst. In 1920, the Chicago White Sox were in a pennant chase and then the bad news hit. 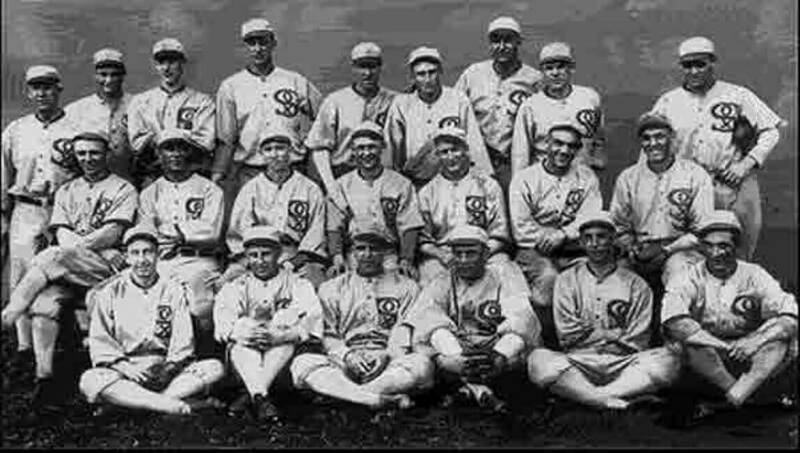 The word got out about eight Chicago White Sox player who betted against their own team to throw the 1919 World Series game. These eight baseball players were banned from the game of baseball for life. The Sox would win only one pennant in 85 years afterwards. This stigma became known as the ”Black Sox curse.” The White Sox would win the World Series in 2005.
Who is Mitch Robbins exactly? Mitch Robbins is a character played by mister “you look marvelous” Billy Crystal in a movie called City Slickers. You may be asking what does this movie have to do with this series of list and sports curses. There was a promotional poster for the movie City Slickers which came out in 1991. In the movie, Mitch Robbins wore a New York Mets cap. 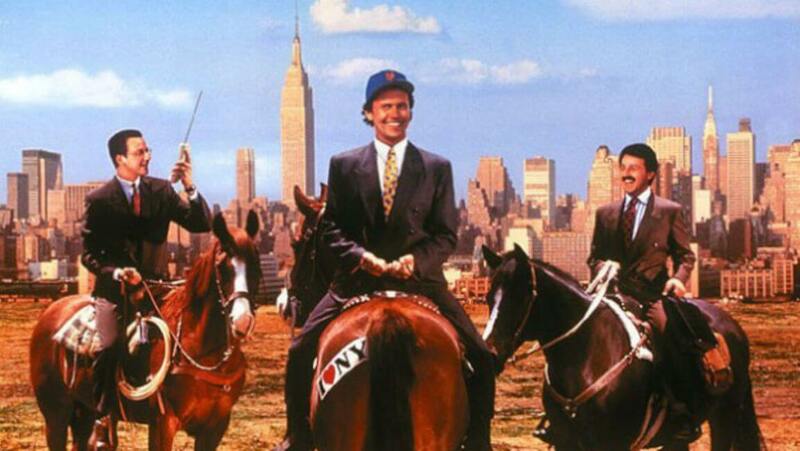 Due to Billy Crystal’s character in the movie wearing a cap, it is believed that the New York Mets have not made it to the World Series. Wearing the cap in the movie in a sense gave some promotion to the Mets but according to some it backfired. As in the case of Babe Ruth, a lesson was learned, or maybe should have been learned. You never trade or gift a star player to another team. It will cause your team to become jinxed and perhaps for a very long time. Once again, this happened with the Cleveland Indians. The Cleveland Indians did very well in the past and they were pennant contenders back then for the World Series. The Indians also had several titles that they won and this proved to everyone that they were a great team. In 1960, Frank Lane, the general manager of the Cleveland Indians, traded star player Rocky Colavito to the Detroit Tigers. The Cleveland Indians would only get to the World Series in 1995 and 1997. 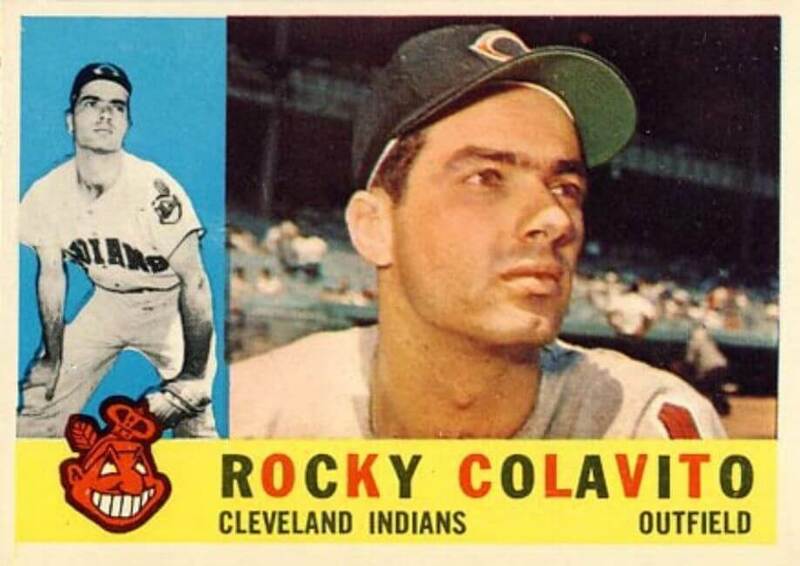 They have not won the World Series because of the Rocky Colavito curse.